A Wisconsin man stabbed himself early Friday during a paranormal investigation at a southwestern Iowa house where two adults and six children were killed with an ax in 1912, authorities said. 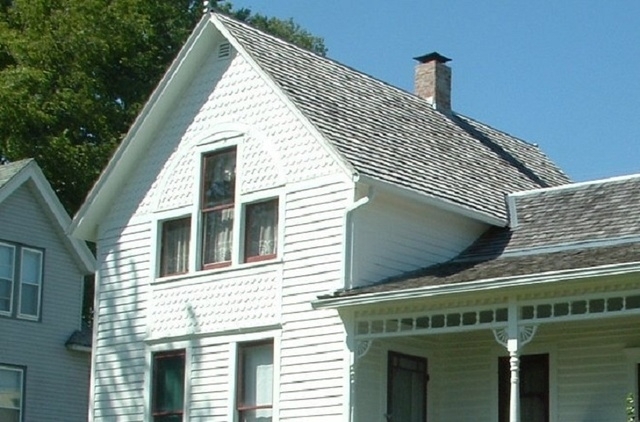 Robert Laursen, 37, was conducting the investigation at the “Villisca Ax Murder House,” a tourist attraction in the small town when he stabbed himself in the chest at about 12:45 a.m. Central Time, the Montgomery County Sheriff’s Office said in a statement. Laursen, who lives in Rhinelander, Wisconsin, was taken to a local hospital and then flown by helicopter to Creighton Medical Center in Omaha for treatment, police said. Authorities did not disclose what he stabbed himself with and said they did not know his motive. Josiah and Sarah Moore, their four children and two other children were killed with an ax in the house in Villisca on June 13, 1912. The crime was never solved. The house was listed on the National Register of Historic Places in 1997. It has become an attraction for tourists and paranormal investigators.